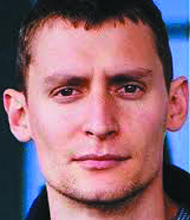 Have you seen David speak? Leave a review. 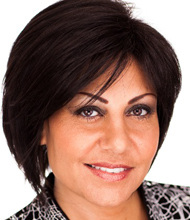 Nour is the best-selling author of Relationship Economics, Return on Impact, and CO-CREATE. Since 2002, Nour and his company, the Nour Group, have showed hundreds of companies how to capitalize their business relationships via both interpersonal relationships and social media networking. 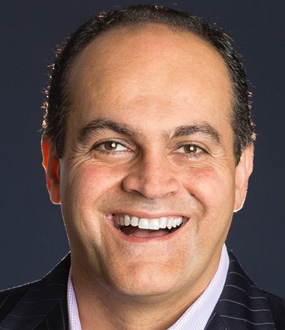 Growth strategist David Nour is the creator of the groundbreaking concept, Relationship Economics®, the art and science of strategically investing in people to meet goals and get extraordinary returns. For 20 years he’s taught companies of every size how to choose and nurture key relationships that will take their perception and business to the next level. Nour quickly realized the quantifiable value of relationships when he immigrated from Iran to the U.S. in 1981 with $100, few family connections, and limited English skills. His ability to develop strong relationships relevant to his goals propelled him forward into a fulfilling business career. In 2002, he launched the Nour Group, and since then has taught hundreds of organizations how to capitalize their business relationships. Nour is the author of ten books translated in eight languages, including the best selling Relationship Economics, Return on Impact, and his latest work, CO-CREATE. He delivers between 50 to 70 keynotes per year on making relationships more strategic. Building on over two decades of experience as a senior leadership/board advisor, bestselling author, and executive coach, David founded The Nour Group, Inc. in 2002. His vision? To help his global audience see business relationships as not simply a “nice to have,” a “convenience,” and “of course, they’re important,” but instead their intentional, strategic, and thus quantifiable value. Nour has pioneered the phenomenon that relationships are the greatest off-balance sheet asset any organizations possess, large and small, public and private. Yet in all of his work, David has found that relationships are NOT a standalone concept. Think about it – they don’t make sense by themselves. In other words, no individual, team or organization builds relationships because they’re bored! Individuals, groups, and companies that focus on proactively mapping, relating, nurturing, sustaining, requesting will be able to bridge their relationship creation efforts to one of relationship capitalization! That’s Relationship Economics® at work, often accelerating performance, execution, and results. In all of his speeches, Nour demonstrates the correlation between succinct strategies, visually illustrated and clearly articulated, proactive relationship mapping and business impact such as time to market, engaged employees and reduced turnover, creating and sustaining exceptional customer experiences, and driving profitable growth. Often challenging entrenched status quo mindsets about certain personality types or functions which seem to excel at relationship development to get to the core of what drives success, David’s Co-Create approach is a win/win scenario that, without exaggeration, will define the evolution of individuals, teams, and organizations. Born to middle-class educators in Iran, David learned at a very young age the incredible power and promise of identifying, building, and nurturing strategic relationships. As he wrote in his first book, Relationship Economics® – Transform Your Most Valuable Business Contacts Into Personal and Professional Success (Wiley, 2012), he certainty didn’t get it then, but walking through the bazaars of Iran at a young age with his father on Friday errands, he understands now that his dad got things done through relationships. Whether they needed a plumber at the house that afternoon or access to an influential politician, the rest of the world is dramatically more proactive with its portfolio of relationships. David arrived in the U.S. as a teenager in 1981 with a suitcase, $100 to his name and no fluency in English. He lived with an aunt and uncle he had never met and grew up in the suburbs of Atlanta. He earned his Eagle Scout, graduated from high school and enrolled in an undergraduate engineering program, before graduating from Georgia State University with a business degree. His early career in sales and sales management at various technology firms reinforced the value of internal and external relationships. Later after working for a global consultancy and earning his postgraduate degree from Emory University’s Goizueta Business School, David became President of an early-stage venture. 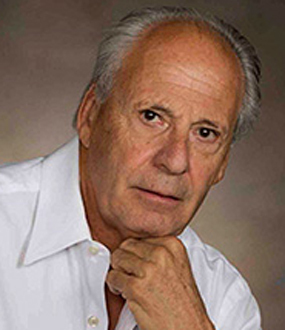 While there he again leveraged more than his educational foundation and professional pedigree, but his portfolio of relationships to identify market opportunities, attract and retain exceptional talent, raise capital, and gain his clients’ confidence. Many of these results he shares today with his global audiences. During his time as a senior leadership advisor to portfolio companies of a private equity firm, David saw dramatically diverse business models, leadership styles, and a broad spectrum of relationship development best and worst practices. From that experience, he dedicated himself to becoming a student of business relationships and what made world-class individual contributors, managers, and leaders excel. After hundreds of speeches and being asked countless times for a book, David hunkered down to write his first, Relationship Economics, back in 2008. To date, more than 50,000 copies of that first book have been purchased or gifted by individuals or their organizations, and it remains David’s iconic work. In it, he outlined his Relationship Currency™ Roadmap, the sustainable differentiation in Reputation Capital™, and the strategic value of one’s Professional Net Worth™. The goal was then as it is now to elevate his audiences’ mindset, help create a roadmap, and provide a toolset to think of relationships as more than transactional networking, and one of truly transformational relationships. In 2016, he launched the Relationship Economics quiz, amassing a research database of over 20,000 respondents on how individuals think about their business relationships, further quantifying the six relationship-development archetypes, from Start to Star across 28 different industries, from manufacturing to professional services. Continuing on that journey to better understand how people think, feel, and behave around their business relationships, this time with a particular emphasis on collaboration and reinvention of business and revenue models, he launched the Co-Create quiz, Canvas, and Workbook. As an internationally renowned thought leader and business expert, David annually delivers 50 global keynotes on business relationships, social and mobile disruptive technologies, and adaptive innovation at corporate meetings, leading industry association conferences, and academic forums. He is an adjunct professor at the Goizueta Business School at Emory University and a guest lecturer at Georgia Tech’s College of Management. 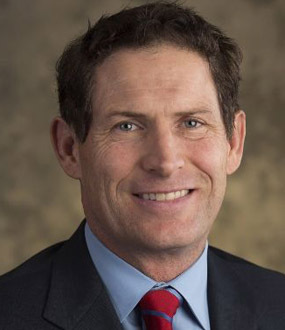 David serves as the lead independent director on the board of introNetworks, a privately held intelligent community technology firm based in Santa Barbara, California. David’s unique perspective and independent insights on business relationships as well as social and mobile innovation have been featured in a variety of prominent blogs and publications including The Wall Street Journal, The New York Times, Fast Company, Knowledge@Wharton, Associations Now, Huffington Post Business, Medium, Entrepreneur and Success magazine. An Eagle Scout himself, David is passionate about youth with his foundation’s support of the World Scout Jamboree, Junior Achievement, One Voice – aiming to create peace in the Middle East, and the High-Tech Ministries. He is currently an active member of the FBI Citizens’ Academy, Association for Corporate Growth (ACG), and the National Association of Corporate Directors (NACD) where he has earned the Governance Fellow accreditation. Anyone with a pulse can get into social networking, but it takes a well-thought out plan to succeed at it. In less than 15 minutes, David Nour guides you through the necessary steps to build your own strategic plan that will leverage your ability to connect with a mass audience. When it comes to networking, David Nour helps you see the big picture, connecting the dots between your goals and most valuable asset – your relationships. Debunking many of the false assumptions we make about relationships, Nour shares his robust methodologies for building trust in a sincere and mutual beneficial way. He focuses on harnessing both social media networks and in-person relationships, showing you how they can be your greatest aid in broadening your perception, meeting your goals, and taking on the latest market challenges and opportunities. to its talent agenda, and digital transformation. their portfolio of strategic relationships! and your organization look like? – evolve themselves, their teams, and their organization. and practical, pragmatic work to date. association and academic forums annually. Return on Impact—How Will You Lead Differently? How Will You Adapt to Disruption and Evolve Your Value-Add in the Process? business interactions, involvement, image, and impact. your value chain. It sounds difficult; David makes it simple. important in this time of uncertainty that people do value relationships. Orlando, Fl. The session was a huge hit and so well received. What if your customers had a vested interest in guiding your company toward greater success? What if your employees had a personal as well as professional commitment to elevating your organization? Imagine how different your results would be if investors, vendors, and even analysts treasured the relationship they have built with you? Most important . . . is your company capable of setting aside a bit of its own self-interest to become part of dramatically more rewarding collaborative effort? That’s the provocative and ultimately earthshaking question David Nour poses. He argues that co-creation is a transformational journey that naturally leads to growth and evolution . . . because it gives birth to shared interests that dwarf anything that existed previously. 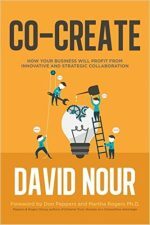 In Co-Create, David Nour makes the case that co-creation leads to Market Gravity™, a force that attracts stakeholders to your business because they recognize that many others have also united their interests with yours. It’s the sense―backed by tangible metrics―that this is bigger than any of us imagined . . . except that you imagined precisely such an outcome. That’s the power of co-creation. What’s the most valuable asset you or your business possesses? Is it your physical resources? Your intellectual properties? Your workforce? Your skills and knowledge? All are important aspects of business success. But you can’t get the most advantage from any one of them if you don’t make the right strategic investments in your relationships. 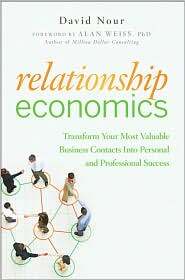 Relationship Economics takes a unique and strategic view of business relationships as a platform for long-term business growth and success. This goes far beyond simplistic “networking” or the exchange of business cards. Thinking strategically about business relationships is a proven way to move your business or career forward. Based on interviews with more than 1,000 managers, directors, and executives from a wide range of companies, Relationship Economics reveals that success comes from investing in people for extraordinary returns. It introduces new concepts in relationship management, including the exchange of Relationship Currency, the accumulation of Reputation Capital, and the building of Professional Net Worth. These are the fundamental qualities and measures of busi-ness relationships, and once you understand them, you’ll be able to turn your contacts into better execution, performance, and results. Many of us are so busy we forget to take the time to build and nurture the key relationships that lead to long-term success. Relationship Economics turns business relationships into quantifiable variables based on proven concepts from the fields of business development and process optimization. You’ll learn to develop the three major types of relationships—personal, functional, and strategic—and how to gain the most opportunity and value from each. Relationship Economics isn’t about taking advantage of friends or coworkers to get ahead. It’s about building and maximizing relationships for a better career and a better life. In business and in life, nothing is more important than the company you keep. Ask any established business owner to identify his or her toughest challenge when just starting out, and you’ll likely get this answer: raising capital. Most aspiring entrepreneurs know far too little about the sources of money that can help start a business or fuel its growth. Where do you get capital? What are investors looking for? How do you ask for money in a way that gets results? This book answers these and many other critical questions. Even more important, entrepreneur and consultant David Nour shows how to develop long-term relationships with financial partner—the people who can help keep a business humming throughout its life. 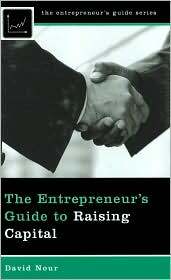 The Entrepreneur’s Guide to Raising Capital, designed to help entrepreneurs navigate the money-raising maze, shows how to attract financing to fund the start-up and growth phases any business moves through. It answers the most common—and the most perplexing—questions entrepreneurs have about financing a business: How do I put together a credible request for funds? How do I choose wisely from among the plethora of financial and strategic investors, consultants, investment bankers, and other intermediaries? How do I identify and avoid the risks associated with various sources of capital? How do I plan for the right kind, amount, and source of smart capital as the business evolves? How do I get the highest return on invested capital? How do I avoid the biggest mistakes entrepreneurs make when raising capital? This book provides real-life, pragmatic advice from entrepreneurs who have raised money from friends, family, angel investors, and banks, as well as institutional investors such as venturecapitalists and private equity firms. It details the process from start to finish while spotlighting the danger spots and ways to avoid them. It will be especially useful to those who are uncomfortable making important financial decisions, and to those who are confused by all the conflicting opinions offered by advisors—both well meaning and otherwise. By showing readers the financing ropes, Nour removes a major source of stress for budding entrepreneurs and moves them closer to their dream come true: a successful business.